Becca brings more than 20 years of experience in politics, community organizing, and public service to the job. We’ve got some exciting news to share: After an extensive nationwide search, Our Oregon has selected Becca Uherbelau as our new executive director. Becca brings a wealth of experience to the position, with more than 20 years of working in community organizing, grassroots advocacy, public service, and politics. 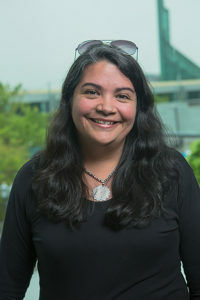 She has worked for the Oregon legislature, the statewide teachers’ union, a variety of advocacy and community based non-profits, and has led statewide ballot measures, local levy, and candidate campaigns. Currently, Becca is the senior community relations manager for Metro and serves as the board chair of Planned Parenthood Advocates of Oregon. Becca will replace outgoing Executive Director Ben Unger, who has been at the helm of Our Oregon since 2014. Our Oregon’s core mission is to promote social and economic justice in Oregon by advancing progressive ballot measures and defending against threats to families, schools and services, and workers. Since it was founded more than a decade ago, Our Oregon has successfully defeated Bill Sizemore’s anti-worker attacks, led a coalition that passed Measures 66 and 67 to fund schools and services, and continued to work with groups across the progressive community to invest in Oregon families. Becca said she wants to build on that legacy of work and continue to deepen and broaden Our Oregon’s progressive coalition, harnessing the national civic engagement momentum and connecting to transformational grassroots movements happening in local communities all across Oregon.